This is a guest post from Tim Smith. 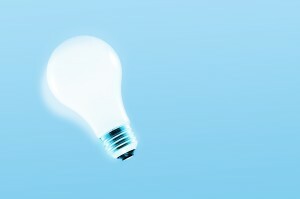 Tim writes about home improvement and energy efficiency for Modernize. 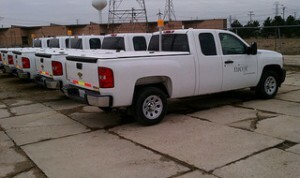 Government agencies and big industry face fleet-management problems that dwarf simple conservation techniques. Industry uses 25 percent of domestic energy for transportation costs, so finding holistic and sustainable solutions at all levels of manufacturing is essential for optimizing energy usage in the United States. Technologies that are changing the ways government and industry managers look at transportation and fleet management include hybrid cars, hybrid tires, cleaner biofuels, tanks that burn natural gas, hydrogen fuel cells and nitrogen tire inflation. More people now live in urban areas than elsewhere, a dynamic that’s changed how people live, work and interact. Billions of people living in close proximity requires thoughtful solutions to reduce energy usage, lower harmful emissions and maximize limited resources. Bridgestone, Ford and Goodyear have conducted scientific research that proves nitrogen penetrates tires three or four times more slowly than corrosive air. Tires inflated with pure nitrogen get better mileage, deliver more even wear and increase auto safety. Businesses and government agencies can lead by example, and NitroFleet99 helps these companies adopt the technology, manage transportation fleets and invest in nitrogen-inflation technology that provides long-term cost and aesthetic benefits. About 70 percent of domestic fuel consumption is generated by the transportation industry, and fleets can save 6 percent in costs right off the top while reducing the 300 million abandoned tires each year by 30 percent. Developing countries often have advantages when it comes to optimizing energy usage because it’s easier to design efficient systems from the gate than retrofit aging systems to reduce carbon footprints and maximize use of resources. 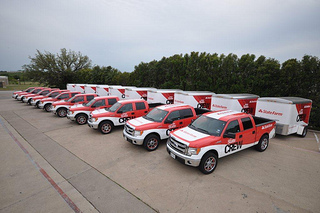 Green transportation technologies for managing fleets are changing the dynamic, however, and companies like NitroFleet99 are providing new technologies that optimize energy use in holistic ways that cut energy use, reduce operating costs and minimize equipment wear. Working with senior management, the company helps its energy partners link energy practices with existing infrastructure and technologies, educate staff about energy savings opportunities and set realistic, evolving goals for reducing energy usage in all aspects of industry and transportation. 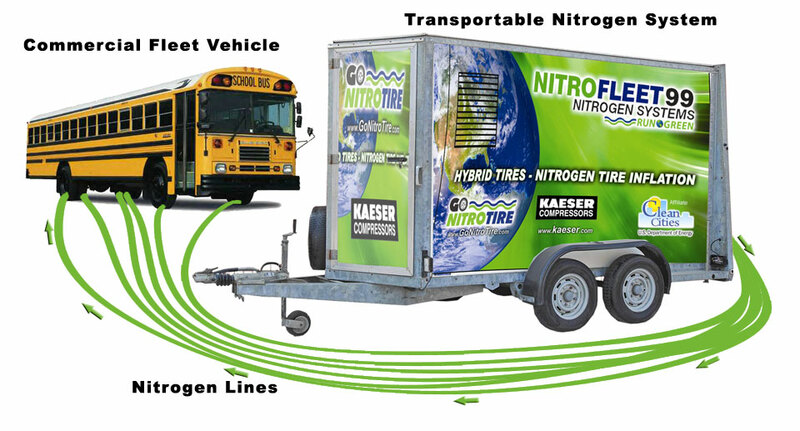 NitroFleet99, a company dedicated to the simple expedient of replacing the current tire-inflation systems with high-purity nitrogen, provides a working network of industry partnerships for exploring the benefits of using nitrogen in business and fleet-management applications. Safe, inexpensive and easy to maintain, tires inflated with nitrogen get better mileage and provide other holistic benefits. NitroFleet99 is working to establish a national infrastructure for inflating tires with pure nitrogen from coast to coast. Ideally, this innovation costs as little as $29.95 for filling four tires while generating substantial energy savings and longer lasting tires and auto components. Less wear means less waste in landfills from millions of pounds of rubber. This is a guest post from Andre Smith. Nitrogen inflation has become increasingly popular in the last ten years. Many industry experts praise it for its promise of increased fuel economy and reduced tire wear, while others raise questions about the actual usefulness and credibility. With fuel prices as high as ever and many consumers and businesses cutting back on costs, nitrogen inflation can seem like an enticing endeavor. While nitrogen inflation can in fact promote efficiency, it is important to have all the correct information on why it is beneficial. There is no need to do pressure checks on tires inflated with nitrogen. False. While nitrogen does in fact take longer to leak out of inflated tires, tires inflated with nitrogen should still be checked regularly for proper pressure. Divers should notice that their pressure checks come back positive more often than using regular air and the amount of pressure maintenance that needs to be done will most likely be reduced. Nitrogen, however, is still prone to malfunctions in the actual tires such as leaks in the valve stem or a punctures. Nitrogen inflation can increase fuel economy and tire life. Because nitrogen inflation promotes properly pressurized tires by eliminating the leaky oxygen in air, nitrogen inflation can in fact promote better fuel economy and more even tire wear. 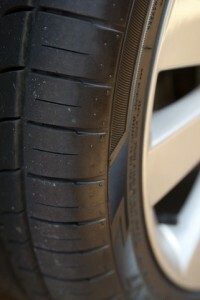 These factors, however are associated directly with the proper tire pressure regardless of composition. Nitrogen inflation provides a more convenient way to keep the pressure ideal. There is no benefit to inflating with nitrogen as air is already 78.1% nitrogen. Air is in fact already 78.1% nitrogen. During actual nitrogen inflation, however, the current air in the tire is removed and replaced with clean nitrogen at a concentration of 94% or more. This purging of air also removes any water vapor, oil contaminants, and particles that may be in the tire. The higher concentration of nitrogen is what promotes a slower deflating tire not the nitrogen itself. The idea of nitrogen inflation dates back to as early as 1968 when a man by the name of Dr. Larry Sperberg came up with the concept of “chemical degradation,” where a tire wears from the inside out. He found that air from compressor tanks was introducing the tires to air that was full of moisture. 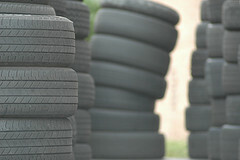 According to Sperberg the moisturized air makes its way into the tire cord body and causes heat and expansion. By using nitrogen that is dry and clean this expansion and degradation is decreased significantly. Nitrogen’s advantage over oxygen when used as a way to inflate tires lies within its chemical structure. Nitrogen molecules are larger than oxygen molecules. As a result, nitrogen does not pass through the inner liner or sidewalls of a tire as easily. In addition, nitrogen is dry and inert. This allows tires to run cooler and reduces degradation. Being green has never been more important. In addition to investing in a fuel efficient or hybrid vehicle, inflating with nitrogen can make that vehicle even greener. 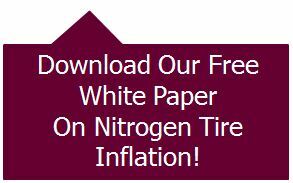 Nitrogen inflation promotes better fuel economy and can reduce tire wear. By decreasing these you are keeping more emissions out of the air and more tires out of landfills. More information on automobiles being green can be had at Klosters’ website. How Do I Use Nitrogen On My Vehicle? There are a few ways to have your tires inflated with nitrogen. Nitrogen inflation requires a special system in order for the current air in the tire to be purged and then refilled with a high concentration of nitrogen. Many automotive dealers will provide this service. There are also kits available for purchase that allow for you to have access to nitrogen inflation at anytime. While nitrogen inflation is not a “cure all,” solution for pressurized automotive tires, it does provide some worthy advantages. Because of it’s chemical structure, nitrogen is scientifically more capable of providing longer lasting pressure directly resulting in better fuel economy and tire life. As this becomes a rising concern, implementation of nitrogen in automotive tires will most likely continue to rise. 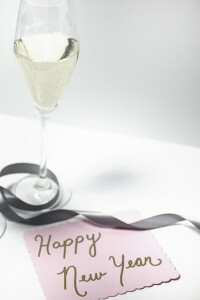 This is a guest post from Kerry Blake. Many myths about the use of nitrogen in tires exist in the wake of its relatively recent expansion in the world of passenger vehicles. These myths pertain to the supposed miraculous effects of using nitrogen in tires as opposed to regular air, and how they are presented to the consumer market. For that reason, we have decided to clear the air (no pun intended) and present to you some facts relating to nitrogen tire inflation. There is not much difference between switching from oxygen to nitrogen in new and used cars, but there is a difference between inflating your tires with normal air in, for example, San Diego and Las Vegas. One of the main advantages of nitrogen is the fact that it doesn’t allow any moisture in the form of water vapor to remain on the tire wall, while some percentage of water vapor is inevitable in air, which consists of 78% nitrogen, 21% oxygen and 1% of CO2, water vapor and other gasses. That percentage, of course, will be somewhat higher along the coastline and the air will be drier in places like Las Vegas, so it is not quite the same if you fill your tire with air at the seaside or in the desert. You will also strain your tires more when driving in an extremely hot or cold environment. Excess moisture may contribute to the corrosion of rims and cause your tire pressure to be less stable in more extreme temperatures and harsher surroundings. For that reason, nitrogen is used for inflating tires in F1, airplanes and various other vehicles where the tires are exposed to extreme temperature changes. Since nitrogen molecules about four times bigger than oxygen molecules, they cannot pass through the rubber structure as easily. That is why a tire filled with nitrogen will maintain its pressure much longer, making it less likely for you to end up driving on under-inflated tires, which will affect the fuel economy and handling somewhat. Nitrogen will maintain the tire pressure at the same level for about three times longer than regular air, which means you won’t have to check your tire pressure every couple of days. 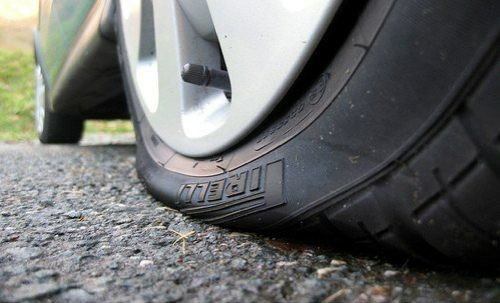 Of course, this doesn’t mean that you can forget about your tires and stop checking the pressure altogether. 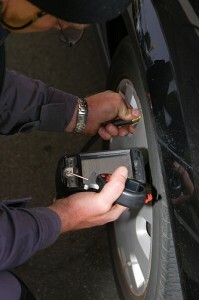 Monitoring the pressure in your tire is the only way for you to be sure you are making the most out of your car. Nitrogen also ensures more accurate readings, so you don’t unintentionally over-inflate or under-inflate your tires and ruin your fuel economy. If you drive a truck on ice roads of northern Canada or a or in the hot, desert climate of the Southwest, then it is definitely worth it to switch nitrogen tire inflation. There is a reason it is used in F1 cars and airplanes and it is precisely in these types of extreme conditions that nitrogen has been proven to be much more stable and predictable than normal air. Even though you’re not driving at the same speeds as race cars, this doesn’t mean that you and your tires aren’t affected by the outside temperature, especially in climates that have an 80-degree difference or more between summer and winter. Although nitrogen is less volatile than oxygen, the point that nitrogen is safer in a car accident is false and doesn’t mean anything. Once the car is on fire, the car is on fire, and nitrogen tire inflation isn’t going to prevent that fire or make the fire any smaller. The way this argument should apply is that since nitrogen is less volatile, your tires are less likely to overheat and to result in a blowout. There are 23,000 collisions per year due to a tire blowout, and this is a safety problem that nitrogen tire inflation can actually solve. This one’s important to note because naysayers will respond to this with, “What about all the air on the outside of the tire?” It’s a valid question, but the degradation of the inside isn’t on the rubber It’s on the axle, where the oxygen and water vapor can rust the axle over time. Axle’s are much harder to replace than a tire, and aren’t looked at as often. Also, the rubber ends up lasting longer because the proper tire pressure that comes with nitrogen leads to even tread wear. Even tread wear means your tires last longer because you don’t have to change them as quickly because of uneven tread wear. 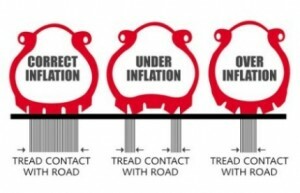 Although any excessive tread wear isn’t a good thing, if that tread wear is uneven (where it’s predominantly in the middle or on the outside of the treat), you will have to change your tires sooner because the uneven tread wear isn’t safe to drive on. Get this into your head, as most people consider this common knowledge, and waving this fact off with, “Well, I don’t know,” or “I’m not a scientist” only makes the practice look like a scam. This is true, so the point that needs to be emphasized is that oxygen and water vapor are the problems. Naysayers like to throw this one out there, thinking that 12% more nitrogen can be all that important, so it’s extra important to know the counterargument and to not get stumped by the resistance. Nitrogen tire inflation eliminates the oxygen and water vapor that’s in air, and this 12% increase in nitrogen concentration is substantial (as well as a 100% decrease in oxygen and water vapor) and it makes a world of difference in fuel economy and tire life. This equipment is expensive, and you need to make your money back on that equipment. We understand that, but the way to do that isn’t to dupe people and not have counterarguments for those who aren’t as easily duped. The way to make money from this service isn’t to push it on as many people as possible. Once you understand the science and the pitches you’re making to these people, then you can be prepared to show that nitrogen tire inflation isn’t a scam, but is a practice that provides value to drivers.